When most people think of the importance of diet, their first thoughts center around weight and maybe cardiovascular health. In reality, nutrition plays an essential role in all body functions. 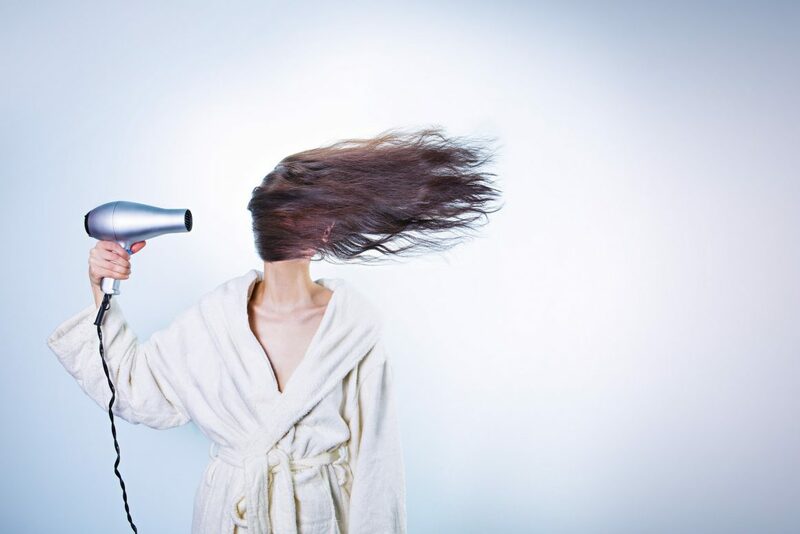 For instance, hair loss has been commonly seen in patients with lupus and connective tissue diseases . Additionally, withdrawal from steroids, which are commonly used as an anti-inflammatory therapy, can cause hair thinning as well. First of all, it is important to remember that it is normal to shed up to 100 strands of hair daily. However, if you’re noticing more hair loss than usual, you should consult your dermatologist to figure out what can be done about your hair loss. Your hair requires certain nutrients to look and feel healthy. There are three different cycles of hair growth, and nutrition plays a role in all three phases. Telogen phase, when the follicle rests for two to three months. At the end of the telogen phase, the hair strand falls out, and the follicle begins starting a new cycle. Many different variables – including genetics, medications, and diseases -are associated with the hair growth cycle. Some types of hair loss are chronic an or even permanent, while others are temporary and can be reversed. In men with androgenetic alopecia (hair loss), hormones related to testosterone cause hair follicles to have a shorter-than-normal growth phase, resulting in hair shafts that are abnormally short and thin. Genetics strongly influences the development of androgenetic alopecia in men . Although other factors may be an influence, genetics also plays a role in the risk of androgenetic alopecia in women. In a minority of women, a cause of this type of alopecia is abnormal serum testosterone levels . Diet is something that, for the most part, we are in control of. So, the good news is that hair loss caused by poor diet is temporary, and can be reversed by improving your diet. When hair stops growing due to poor diet this means that the growth cycle has halted during the telogen phase: the follicle is resting, and a new strand of hair is not growing. As a result, the hair becomes thinner, and you may notice an increase in hair shedding from the scalp. Once the nutrition mistake is corrected, the hair growth cycle should resume. 1. Excess vitamin A intake. Vitamin A is a fat-soluble vitamin; therefore, if you have an excess of it, your body stores it in fat cells as opposed to excreting it through urine. It is important to know that Vitamin A itself is not bad for you, and is actually necessary for proper hair growth. However, in excess it can lead to a number of health consequences. Over-consumption of Vitamin A typically arises from taking supplements in excessive amounts. 2. Protein deficiency can cause hair loss because the body uses this macronutrient to build and repair new cells. When supply of protein is low, the body starts rationing it. Your body is not as concerned about keeping your hair as it is about making sure your organs are functioning properly. Collagen protein is a “building block” supplement for bones, skin, tendons, ligaments, joints, muscles, and even hair follicles. 3. Iron deficiency can cause hair loss because it is an essential mineral that makes up a part of every cell in your body. This is a common cause of hair loss in women. Foods that are good sources of iron include: Beef, chicken, pork, canned salmon, spinach, beans, and eggs. It can be difficult to absorb the iron that is found in plant-based foods. Vitamin C helps our body absorb iron. Also, meat, fish, and poultry all help our bodies absorb iron when eaten along with plant foods. So, having a spinach salad with chicken and a lemon vinaigrette would be a good option. 4. Rapid weight loss, can lead to a hormone imbalance. Hormones help regulate hair growth; therefore, sudden weight loss (15+ pounds in a short period of time) may result in temporary hair loss. Usually, once the body adjusts, hair growth resumes on its own. If hormone imbalances are present without rapid weight loss, hair loss may still be an issue. 5. Eating disorders can cause hair loss for a number of reasons. Eating disorders are often associated with nutrient deficiencies, weight loss, and hormone imbalances—all of which can impact hair growth on their own. IMPROVING HAIR HEALTH WITH FOOD! Eggs: a great source of protein and biotin both important for healthy hair. Berries & Sweet Peppers: are packed with vitamin C. Not only is it an important antioxidant but also helps the body absorb iron. Vitamin C also helps the body produce collagen that can help the hair from becoming brittle and breaking. Fatty Fish: are rich in omega-3 fatty acids. Omega-3s have been shown to support healthy hair growth. Avocados, Nuts, and Seeds contain Vitamin E, which is an anti-oxidant that helps reduce oxidative stress on the skin and scalp. Damaged skin on the scalp can result in poor hair quality and fewer hair follicles. Shellfish are a good source of dietary zinc. Zinc is a mineral that helps support the hair growth and repair cycle. What you eat has an impact on how your hair looks and feels. Luckily the food choices you make to support healthy hair have a good effect on your whole body.